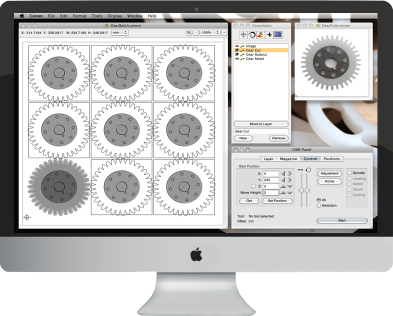 Cenon is the leading manufacturing software for Apple computers, and never has to leave your side - from Design (or data-import) via pre-production to the control of the machine. With Cenon all manufacturing steps can be accomplished in one easy to use tool. 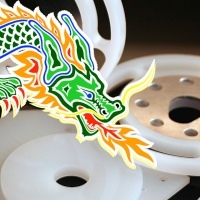 Versatile pre-production abilities with a logical workflow and speedy machining make Cenon a strong partner even in industrial competition. 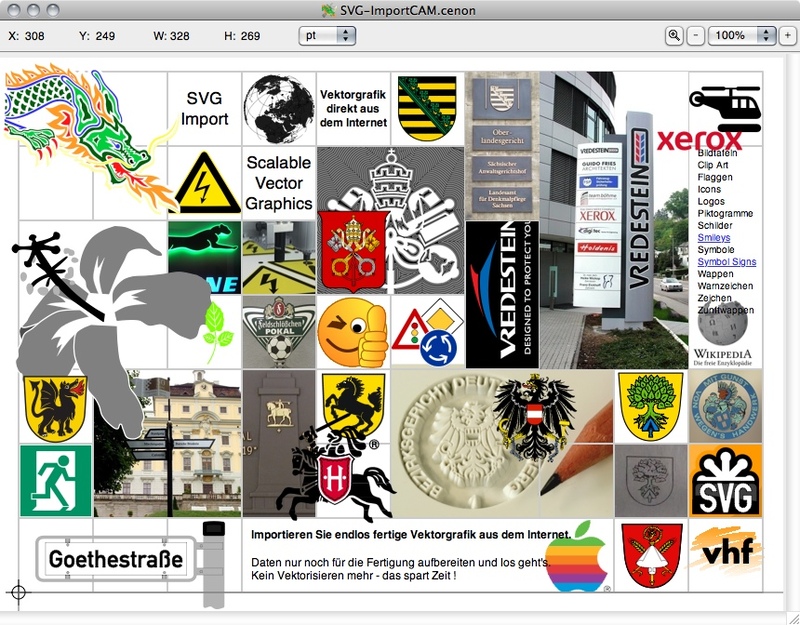 With Cenon's clean and state-of-the-art user interface on Apple Mac OS-X, working with Cenon is fun. Cenon has been developed with a focus on flexibile manufacturing for the industrial sector as well as for model-making and sign-making. Cenon makes it possible to address a host of different tasks in one easy-to-use program, without making compromises. For fine engravings, Cenon provides an advanced engraving feature, the Pick-Out. The Pick-Out is perfecting tight narrowings (like serifs) in 3-D by adjusting the immersion depth of the conical engraving tool. A must have for all delicate engravings. 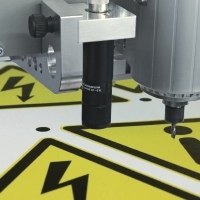 This power-feature for flexible large scale production allows the recognition of location, rotation, and even deformation of a work-piece by using a camera mounted on the machine. 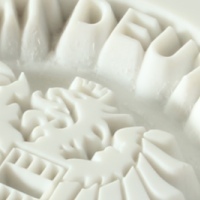 For making Embossing Tools, Coins, or Furniture, the relief function of Cenon can be applied. It turns the shades of an image into a three-dimensional elevation profile. 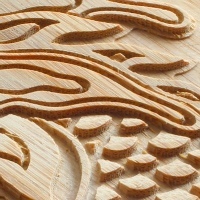 The Icon shows a magnified section of a woodcarving, reproduced with Cenon. 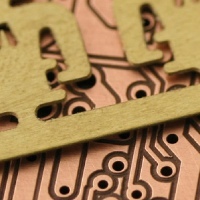 Cenon is a strong tool for rapid prototyping of printed circuit boards without using chemicals. 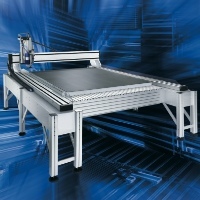 On top of that Cenon is versatile in the production of front-panels and other electronic parts. Camera+Targeting now allows automatic recognition of the workpieces. 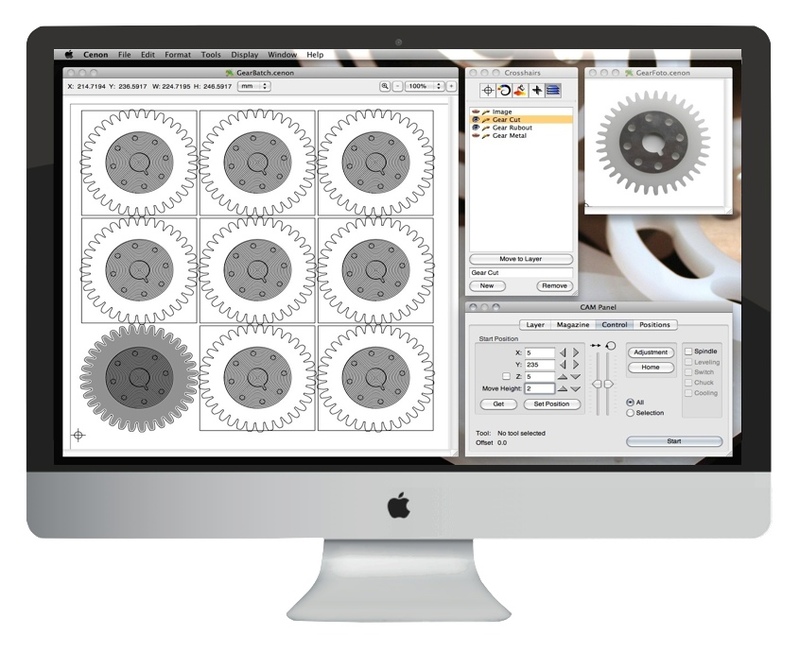 Machining Systems with Cenon CAM. interpolation of up to 3 axis (4th tangential axis), circular axis. Flexible configuration of switchable options.